Continuum’s Connecticut-based occupational therapists work closely with caregivers and patients to help patients become as active and independent as their condition will allow. Working closely with your physician’s directives, our occupational therapists will help assess the patient’s condition and provide counseling to create and implement a home care treatment plan. This treatment plan will include specific goals for everyday living and completing routine household tasks. Occupational therapists help individuals who have physical, developmental, social or emotional challenges that make it difficult or impossible for them to conduct the activities of everyday life and work. Occupational therapists train and instruct patients on how to use specialized rehabilitation equipment and techniques that improve their ability to conduct daily activities such as eating, cooking, dressing and bathing. Patients may learn how to conserve their energy, improve their basic motor functions and reasoning abilities, and how to compensate for permanent lack of function. The goal of occupational therapy is to help patients lead independent, satisfying and productive lives. Continuum’s occupational therapy begins with a visit to your home, where an occupational therapist will make an assessment of your physical needs and conduct a home safety evaluation. From this visit your therapist will create a treatment plan with your goals for improvement. Your doctor will review and approve your home care plan, which may include exercise, education and pain management. As your treatment progresses, your occupational therapist will update your doctor on your how your treatment is progressing. Often, occupational therapists also work with skilled nurses, physical therapists or speech therapists to coordinate your care plan. 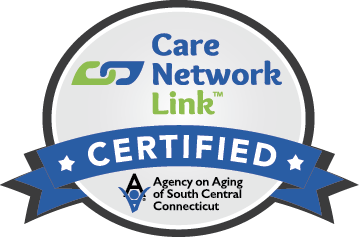 Continuum’s Connecticut-licensed occupational therapists have completed an accredited educational program in occupational therapy, and have at least three year of clinical experience in occupational therapy. 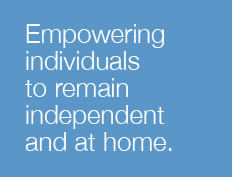 At Continuum, we are committed to the empowerment of our patients and their families. As part of our company’s mission, our occupational therapists promote well-being and self-respect by helping our patients return to healthy living, take over their own care as soon as possible, and maximize their day-to-day independence. When does occupational therapy make sense?